You may have noticed how some emails have a signature at the bottom part, often containing one’s name and job title. They don’t actually type this in for every email they send. Fortunately, when you use Gmail, a template can be made in the account’s settings. You can find this under the general settings. 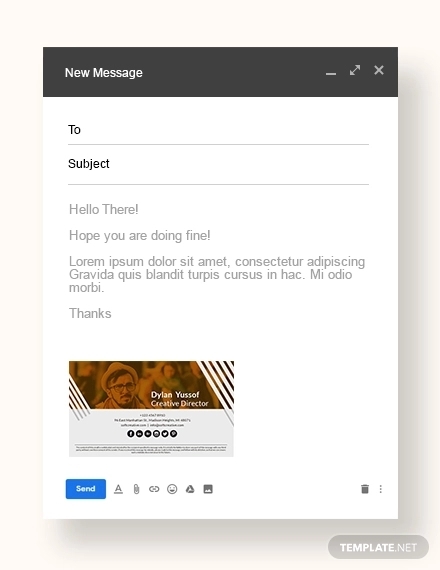 All you have to do is click the radio button next to the text box and then input the signature you want to include in your email examples. Once this is done, be sure to save changes by clicking the button at the bottom of the page. 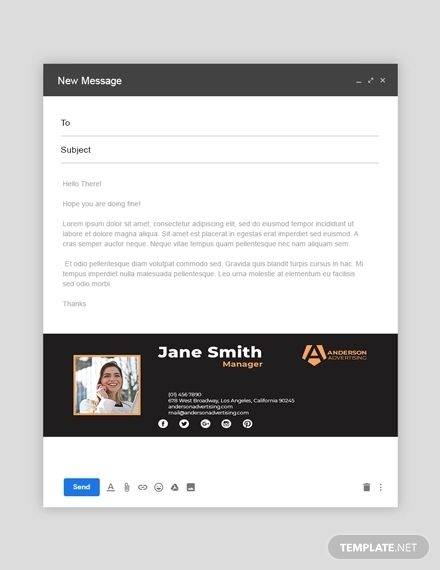 It’s important to keep your email signature simple yet memorable. You can get creative by creating your signature in a photo editing app and then using the image as your signature. Using corporate colours to brand your signature is also a good marketing strategy. Try not to lose focus on your email signature’s main purpose. Unnecessary details, such as quotes, are irrelevant and often ignored by individuals. How to Set Up an Email Account for Job Searching? When you decide to start looking for a job, it’s a whole other world that shouldn’t be taken lightly. You want to make sure to leave a good impression. You can start by setting up an email account for your professional needs. 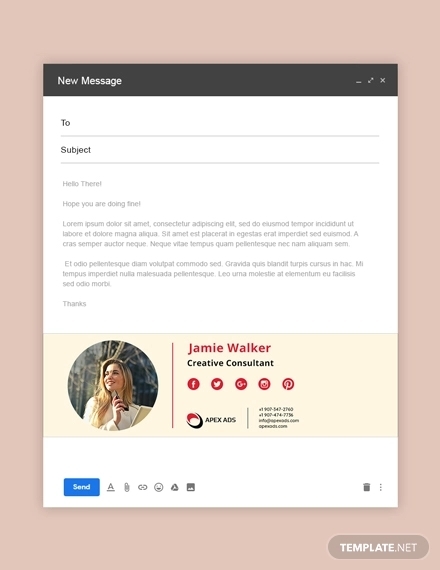 A new email account will help you start fresh, in terms of a clean inbox and an appropriate email address. To set up your account, there are a lot of popular email clients email that you can choose from. All you need to do is register by filling up a form. Take note of the email address and password that you have provided. After which, you’ll be able to activate your account through a confirmation. Any other details that you wish to add or change may be done in the account’s settings. 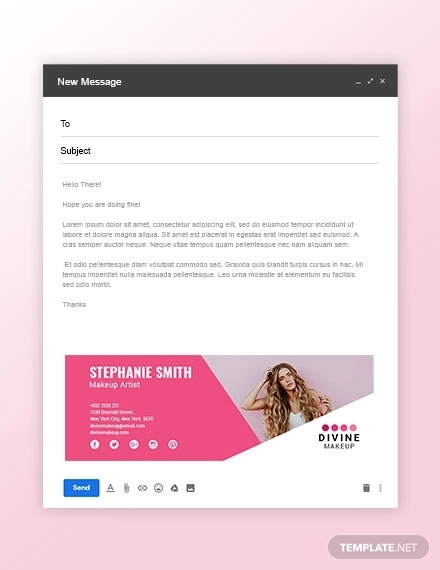 When sending out emails instead of letters, you don’t present contact information at the top of the email like the way you do with a letterhead. Instead, such information is presented at the bottom part of each email. By sending emails with its corresponding signature, a company is able to establish credibility for itself. After all, a recipient would want to know the authenticity of the email and the said sender. 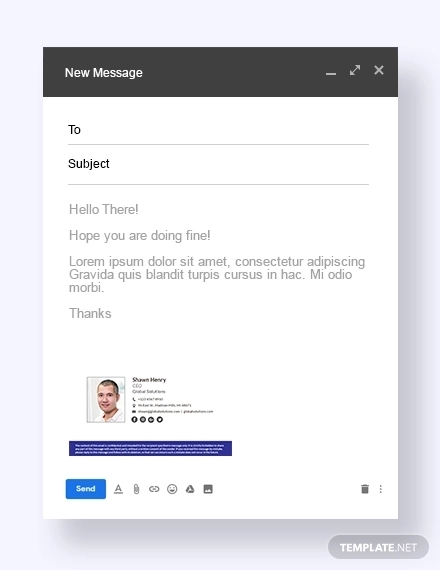 Practically speaking, your email signature serves the same purpose as a business card. It’s a free marketing platform that gives you the opportunity to promote yourself and the business through every email sent.